An excellent mixture for multi-purpose sports fields and recreational areas. This elite formula of Kentucky bluegrasses and turf-type perennial rye grasses tolerates heavy traffic and intense wear. Can establish quickly and is suitable for a diverse range of conditions. 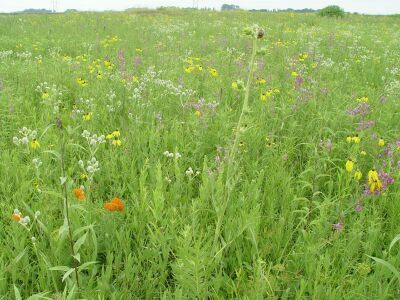 This blend of improved, Iowa-adapted bluegrasses provides a “sod” look to any seeded area. Ideal for full sun areas where 100% Kentucky bluegrass is desired. A premium mixture of turf grasses designed to perform in all locations from full sun to partial shade. Perfect for all landscaping demands using improved varieties which are more heat and wear tolerant. It’s versatility has made it our most used mixture. 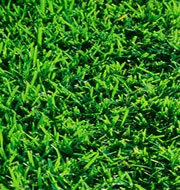 A blend of three turf-type tall fescues that perform well in either full sun or shade. These durable grasses tolerate drought and wear, and provide cover where traffic may be intense. Economical, contractor’s mixture for patching and re-seeding damaged areas, and stabilizing roadsides and large open areas. Quick to establish and perfect for hydro-seeding. A three-way mixture of perennial ryegrass, Kentucky bluegrass and fine fescue. Adaptable in both sunny and shady locations, and works for most landscaping demands. A blend of three fine-leaf, turf-type perennial rye grasses that stands up to intense pressure. Perfect where quick germination and establishment are needed. With dark green color, excellent for areas of heavy wear on athletic fields, commercial sites and home lawns. Excellent for overseeding. An ideal combination of turf-type tall fescues, bluegrasses and perennial rye grasses that provides an extremely wear-tolerant and attractive mixture for municipal fields and recreational play areas. Can be used in full sun and partial shade.